If you’re visiting Paris, chances are you’ve walked the long halls of Charles de Gaulle, the country’s largest airport. 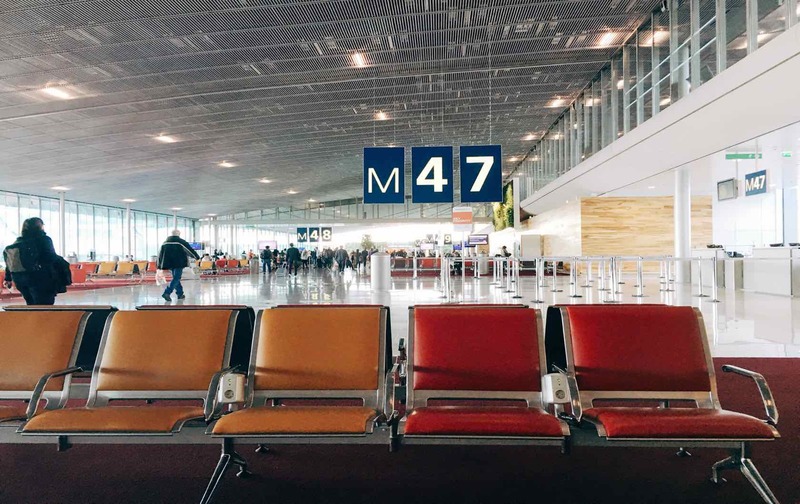 Though the Paris region is served by three airports, CDG is the most likely destination for international non-EU flights, and can be quite intimidating upon first visit. Once you’ve dealt with passport control and collected your checked luggage, all you want to do is sink into the couch of your Paris Perfect apartment, but there are so many transport options to get into the city, how is one to choose? 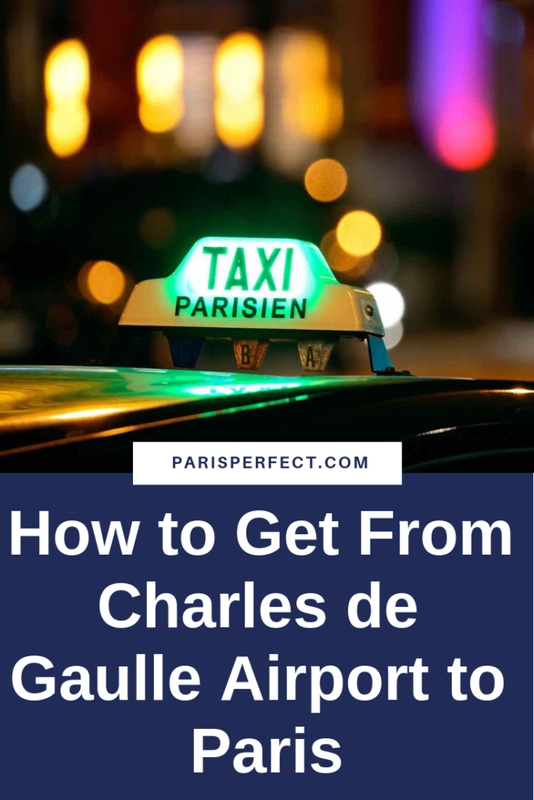 We’ve broken down how to get from Charles de Gaulle Airport to Paris for you in this post, so you can arrive informed for a breezy transfer into the city. The most direct way into the city is via the regional RER B train, which will take you straight from the airport into the city. 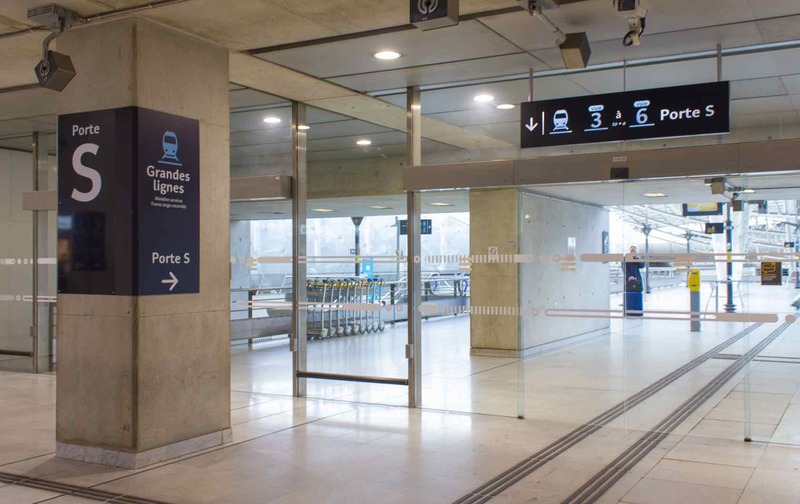 It has two stops within the airport, Terminal 2 and Terminals 1 & 3, and once in Paris, stops at Gare du Nord, Chatelet, Les Halles, and Luxembourg, so you’re able to get off wherever is closest to your accommodation. 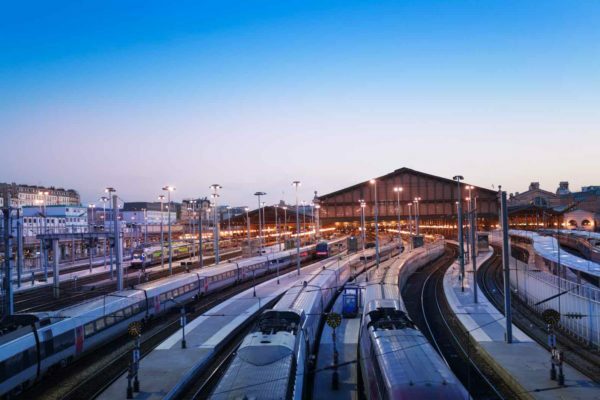 Keep an eye on the destination stations for each train- if the next train calls at every stop between the airport and the city, it’s worth waiting 10 more minutes to take the train that only calls at the airport stops and then goes directly to Gare du Nord. Tickets can be purchased before the entrance to the RER at the RATP ticket machines and cost about 10€. 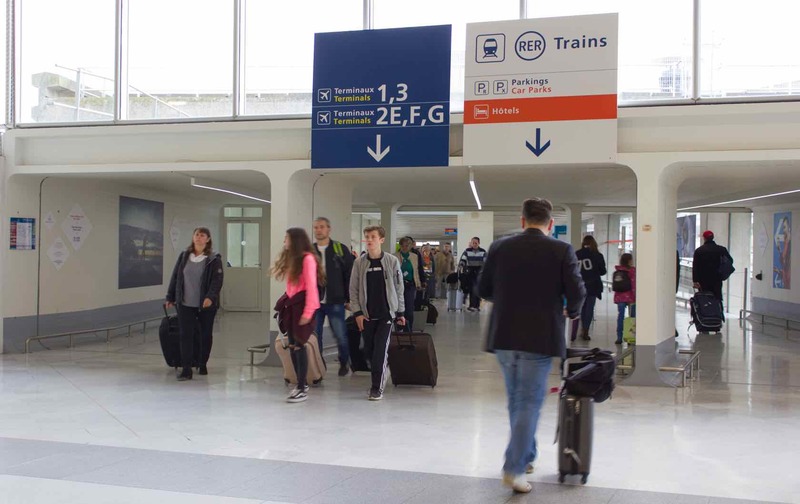 If you have a lot of luggage or are not traveling with someone who can help with your luggage, the RER might not be the best option for you, as not every station is equipped with elevators or escalators. This is the official airport-to-Paris bus, and it stops at every terminal, making it the easiest option if you’re looking to take public transport into the city but don’t want to take the RER. It drops you off next to the Paris opera house, the Palais Garnier, right in the center of the city, and runs every 15-20 minutes from 6am to 12:30am (you can find the timetables here). For those with a lot of luggage or mobility issues, this is the best public transport option. You can buy a ticket at any of the RATP ticket machines (just make sure you choose the Roissybus option), or most of the stops have a dedicated ticket machine. 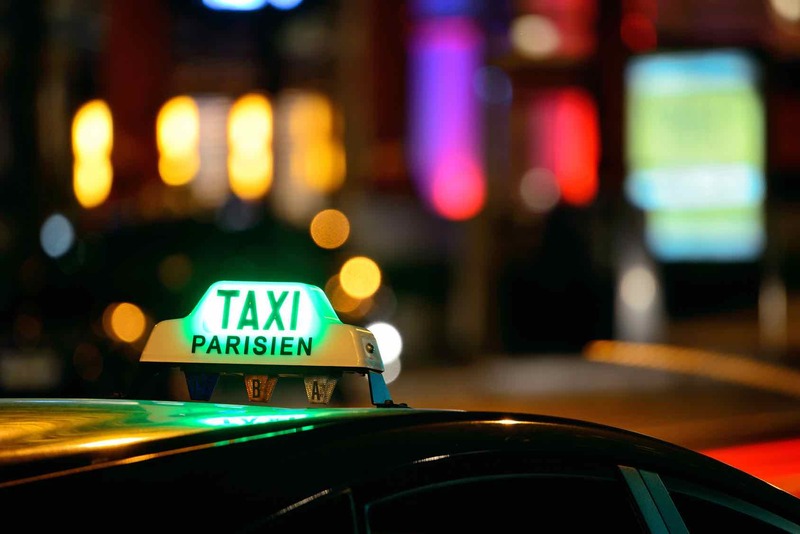 Taxis are plentiful at CDG and can make getting into the city a breeze. Though there may be a wait, you definitely want to use the official taxi queue to ensure that the drivers are legitimate and will only charge you the 50€ flat rate to get into the city, though they are able to charge more for excess luggage. Like any road transport from the airport to the city, you may want to check that there aren’t major traffic jams going into the city. However, as the rate to get into Paris is fixed, even if the ride takes a long time due to traffic, they can’t charge you extra. Uber is a very popular app in Paris and quite reliable. The flat rate for Uber drivers, outside of surge periods, is 45€ between CDG and most destinations within Paris. Other similar apps, like Chauffeur Privé and G7, also allow you to arrange transport from your phone. However, in order to avoid competition with the taxis, the drivers operating from these apps are often restricted to a specific pickup spot. The app will tell you where to go to find your driver; however, if you’re not comfortable navigating the airport to find the car, you will probably want to opt for a classic taxi instead. Want to know the most reliable, easiest, and safest transport option that will take all the stress and planning off of you? Let us arrange a pickup for you! Contact us and Paris Perfect can organize a driver to collect you at the airport and take you directly to the door of your Paris Perfect apartment. What could be more convenient? What is your favorite mode of transport for how to get from Charles de Gaulle Airport to Paris? Let us know in the comments! Posted on Tuesday, November 20th, 2018 at 10:14 am in Paris Tips. You can follow any responses to this entry through the RSS 2.0 feed. You can skip to the end and leave a response. Pinging is currently not allowed. Public Transportation in Paris – Everything You Need to Know Here’s how to Travel from Paris to London by Train Traveling from Paris to Versailles–The Definitive Guide The 42 Bus – The Best Sightseeing in Paris! We have used Paris Shuttle for years. Very convenient and very reasonable; you can book online and arrange both pickup and drop off before you leave home, and their website is in English if you don’t speak French! It’s so much easier than hauling your luggage onto the RER or a bus, and they deliver you directly to your hotel or apartment. My favorite is Victor Taxi. Always prompt, completely honest, professional. One of his drivers is waiting for you as you exit security upon arrival to whisk you into the City. He takes you directly to your apartment, or Paris Perfect Office if it is not quite time to check in. No stairs, minimal walking and lugging suitcases. He’s the best! Thanks for that additional suggestion. It’s always good to have a Website that’s in English.